They say this will be the last super hot weekend around here for awhile. Which makes sense, since we’re having air conditioning installed on Monday. Until it—and the fog—arrive, we’ll be hydrating like crazy. And thus, today’s Friday Things topic: Plastic Tumblers. 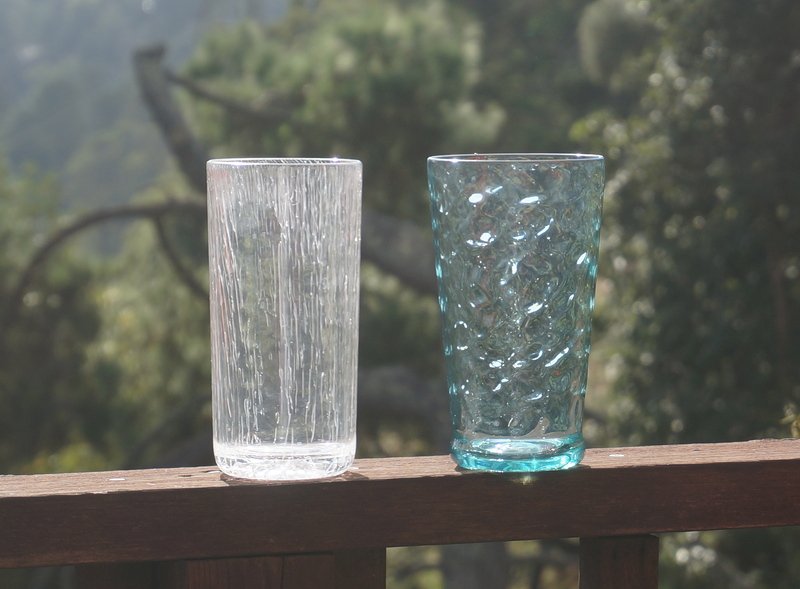 We own a range of nice drinking glasses—everything from the now vintage olive green goblets we got as wedding gifts in 1980 to sleek, contemporary (and easily replaceable) old-fashioneds from Crate & Barrel. But none of them really hold the amount of ice water/lemonade/Diet Coke that a tall, plastic tumbler can. A spooky fun October/Halloween decoration project. A peek into this SF cookbook author’s kitchen–love the washi tape labeling idea. The fuss about how women speak. This waving Solar-Powered Pope Francis. My sister Michelle LOVES and heartily endorses the soundtrack to the Broadway production of Hamilton. Can’t wait to give it a listen. In the meantime, I’ve been listening to Irish singer songwriter Glen Hansard’s new album “Didn’t He Ramble” all week and enjoying it very much. Happy Weekend All! Stay cool. This entry was posted in Shelter, Spirit, Style and tagged faith, glassware, Halloween, kitchens, music, musicals, organization, tumblers. Bookmark the permalink. Post a comment or leave a trackback: Trackback URL.